Area of Proficiency (1st level): You are proficient in Athletics, Intimidation and Survival checks. Tools Proficiencies (1st level): Two tools of your choice. Reaver's Charge (Level 1): You can spend a Luck point to perform a reaver’s charge before initiative is rolled in an encounter, as long as you are not surprised. You can also spend a Luck point to perform a reaver’s charge any time you reduce an enemy to 0 hit points (or less) with a melee attack. A reaver's charge is a bonus action where you can move up your full speed and are required to make an attack when finished. If your reaver's charge attack hits, you deal 2d6 extra damage. 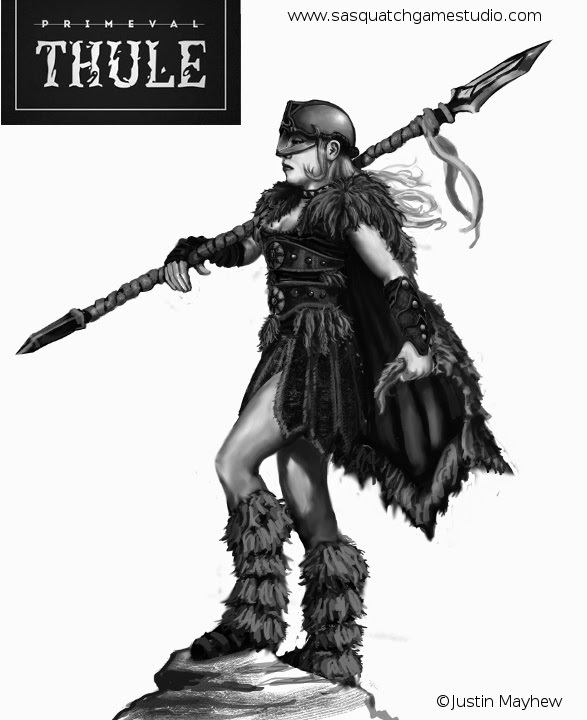 Renowned Raider (6th level): You gain advantage on Charisma checks to interact with mercenaries, raiders, or pirates—your name is known throughout the fighting peoples of Thule, and your reputation precedes you. Optionally this is a feat and can only be taken if you have this background and are at least 4th level, Additionally, gain +1 Charisma. Reaver Chief (10th level): You can call for raiders from your homeland to go marauding with you (including a ship if they are a seafaring people). Once per three years, you can raise a horde for a major attack. Additionally, your allies may dash as a reaction. Optionally this is a feat and can only be taken if you have this background and are at least 8th level, additionally gain +1 Constitution.